Rolle (Switzerland), 4th May 2016 -- With the UEFA Champions League finalists due to be determined this week, Nissan, the Official Global Automotive Sponsor of the UEFA Champions League, has revealed the scientific formula for excitement in football. 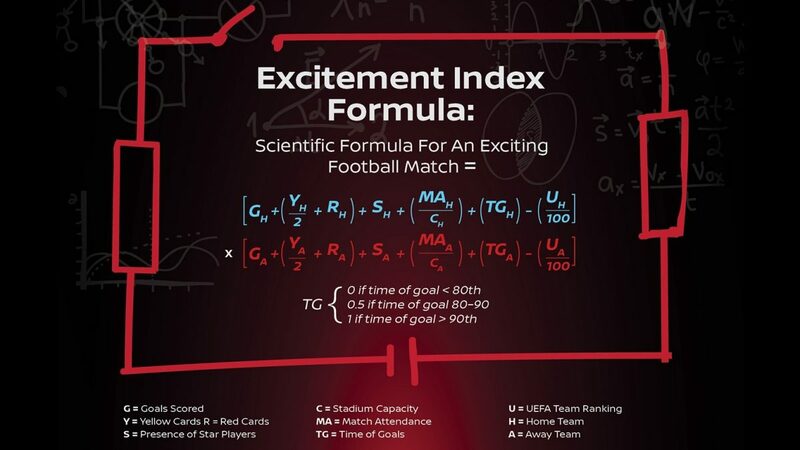 In partnership with sports science experts at Loughborough University, the Nissan Excitement Index utilises data gathered through physiological reactions of football fans watching UEFA Champions League matches. Based on these reactions, a formula -- the Nissan Excitement Index -- has been developed.